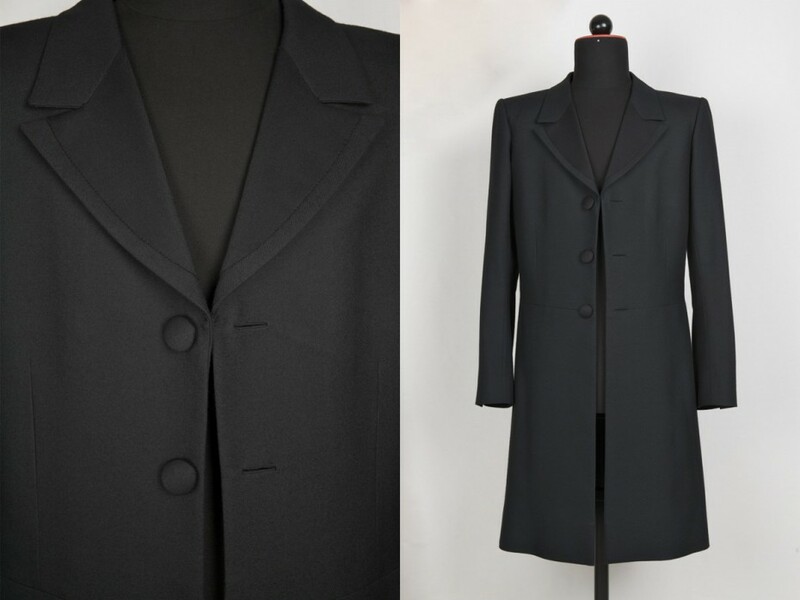 It is what it is, a late 19th century frockcoat, made from a rather old woolen serge I stumbled upon some years ago. 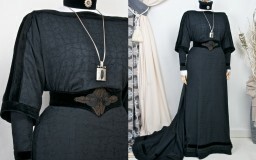 I’ve used the typical sleeve pattern of that time, even if this created the expected creases on the armpits’ backside. 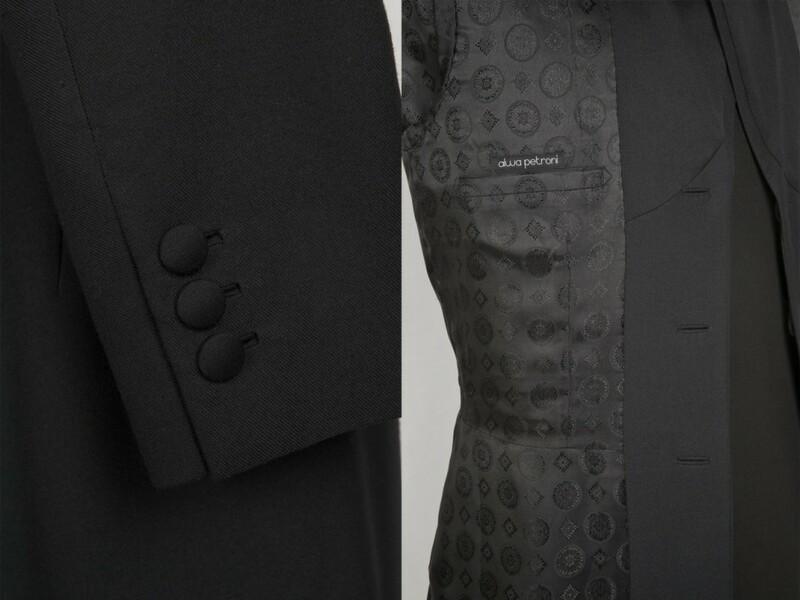 You will find piped buttonholes and the lining (with the pattern matching all around) set in entirely by hand. 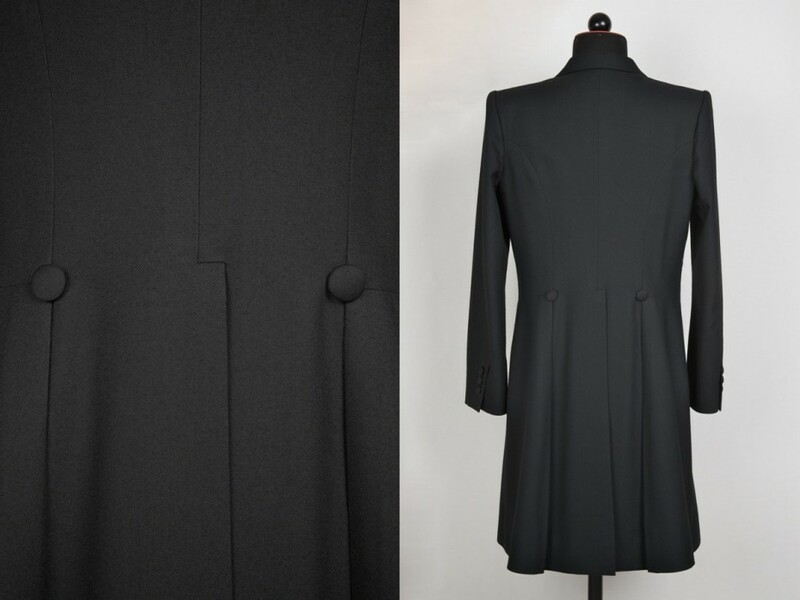 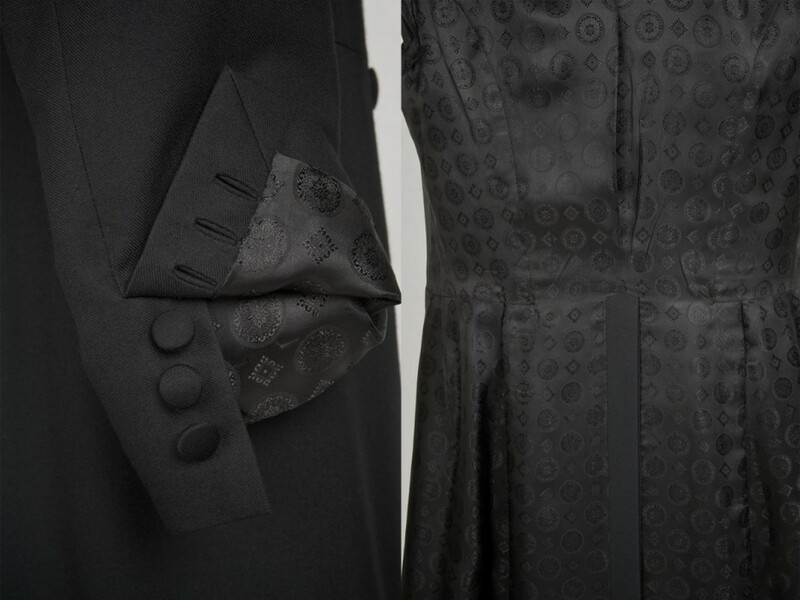 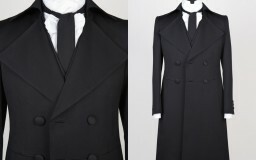 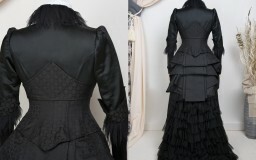 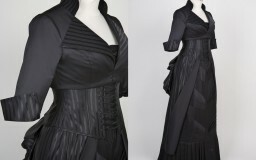 The buttons and lapel are covered with wool satin and the sleeve vent is fully functional.